One of the books I’ve read recently is Principles: Life and Work by Ray Dalio. What’s their track record been like? When I began to think about this word, believability, I had some difficulty thinking about the teams I work figuring out the criteria that I would use to determine their believability. As I tried to think about how to measure believability I began thinking about a very old principle, one I talk about in my book, Trust Me, that seemed to be interchangeable with this idea of believability. That principle is integrity. People seem to innately know whether you have integrity or not. 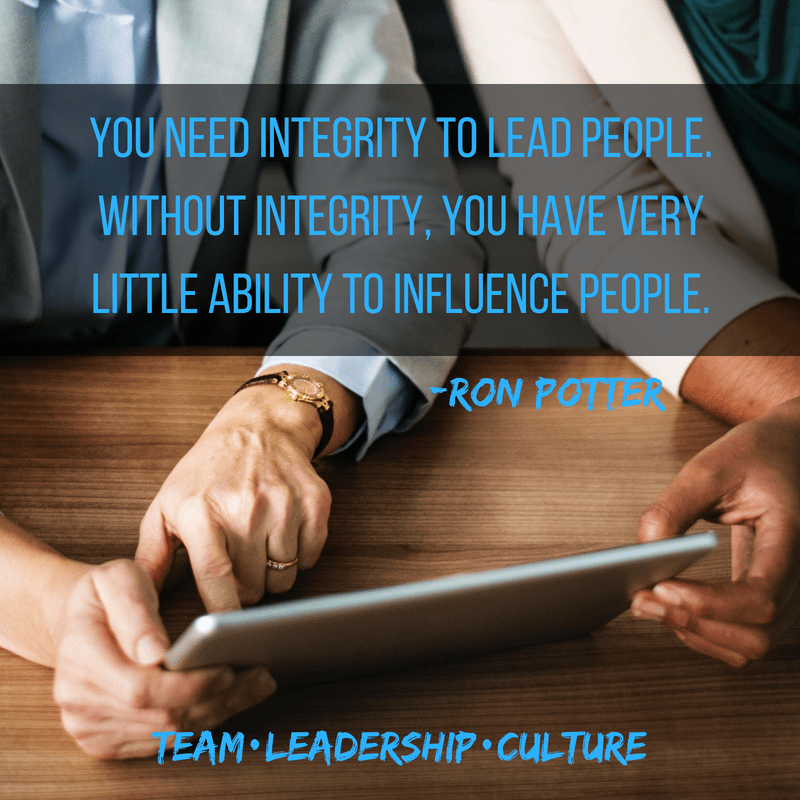 You need integrity to lead people. Without integrity, you have very little ability to influence people. If I believe you are a person of high integrity, then I’m willing to be influenced by what you say, believe and share with me. However, if I believe you happen to be a person of low integrity, I have absolutely no interest in being influenced by you. Leadership is only influence. If you lose your integrity, you lose your ability to influence. Therefore, you lose your ability to lead. Maybe this is the principle that Ray is getting at when he talks about believability. Does it correlate with integrity? I think so. We’ve been influenced by people who are non-experts in a field simply because they are people of high integrity. So, pay attention to your integrity. Don’t lose that. Are you the same person talking to your boss as you are talking to a server in a restaurant? Do you treat your employees just as you expect to be treated by your boss? Are you the same person at work as you are on the golf course? If you sustain your integrity, you sustain your believability, and you increase your ability to influence and lead.